Five years after launching its direct-to-consumer framing business online, a D.C.-based startup is planting brick-and-mortar roots in the city. 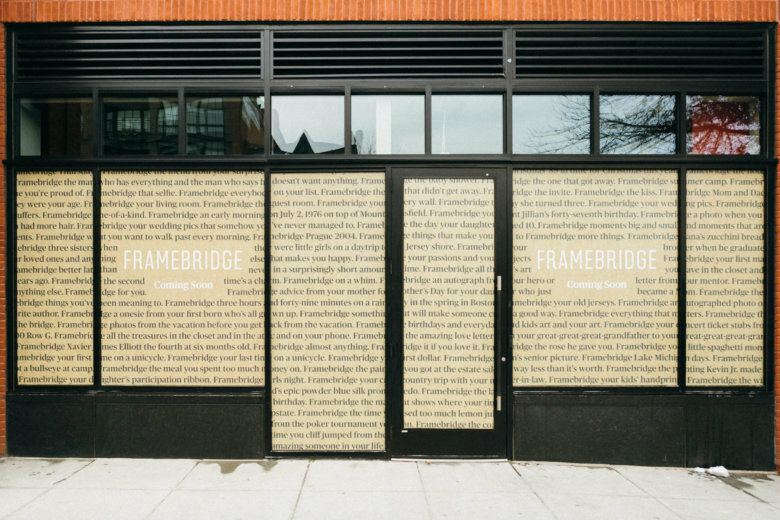 Framebridge, once dubbed the Warby Parker of frame-worthy art, is opening a 1,200 square-foot shop March 19 on 14th Street NW. Framebridge founder and Chief Executive Officer Susan Tynan said she has seen a demand from customers to expand beyond “clicks” to bricks in recent years. “We’ve realized there are some customers who just want the convenience of dropping off art, or the touch and feel of actually looking at some of our frame styles in person,” said Tynan, whose company employs more than 400 people all over the U.S., with headquarters in Georgetown. “And I left feeling like I just didn’t want to do it again,” she said. She bet that others had similar experiences and came up with the idea for a company that could disrupt the industry by framing digitally uploaded or mailed-in art with clear, upfront pricing, plus free design consultation and shipping. “I just began thinking of it, and really couldn’t put it out of my mind. I believed someone should do this thing,” said Tynan, who launched Framebridge in 2014 and by July 2018, raised a total of $67 million in funding, according to Business Wire. Now, customers have the ability to create decorated walls in minutes — and without ever leaving the house or writing a blank check for the final product. Framebridge’s custom framing options start at $39; the best-selling gallery wall package is $450 for three 76-by-34-inch frames. “We really believed that the market for framing could be bigger if it were easier and more affordable … if people felt confident they could make a quick design choice and love what they framed,” Tynan said. The company also frames mementos, such as family recipes, concert tickets and fabrics. “I am dumbfounded every day at how creative and how thoughtful, how sentimental our customers are,” Tynan said. Tynan also plans to use the space, located between T and U Streets NW, to host events and discussions, including an upcoming program with celebrity interior designer Nate Berkus. A second Framebridge storefront is already in the works for Bethesda Row. Tynan said it’s scheduled to open in April.